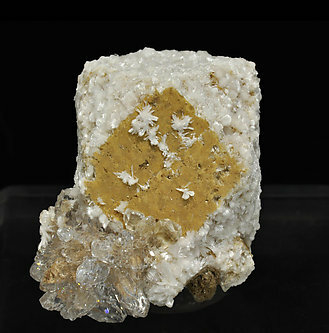 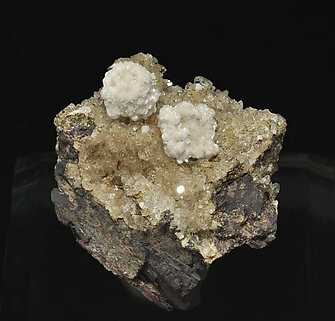 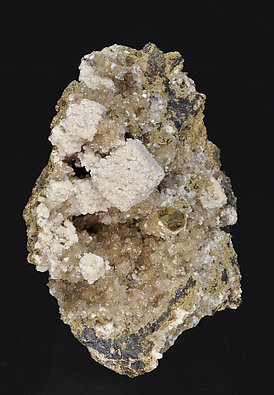 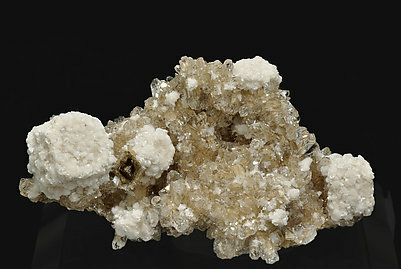 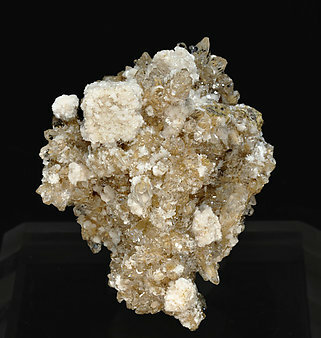 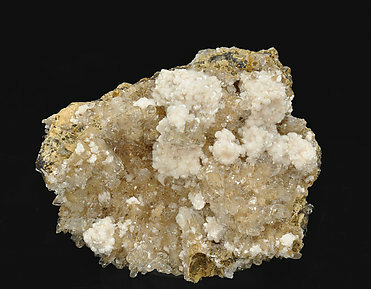 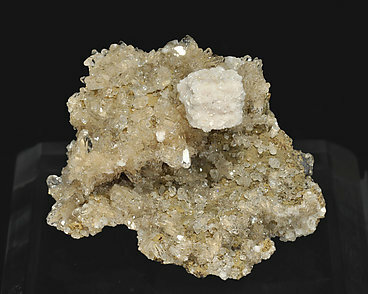 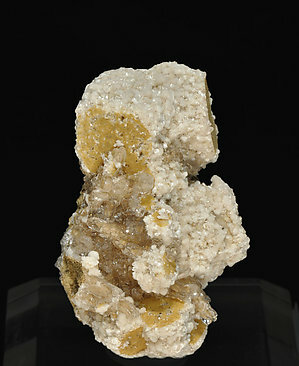 Fanlike groups of snowy white acicular crystals of Bultfonteinite replacing the faces of short elongated crystals of Hydroxyapophyllite-(K) which has a pseudocubic habit. 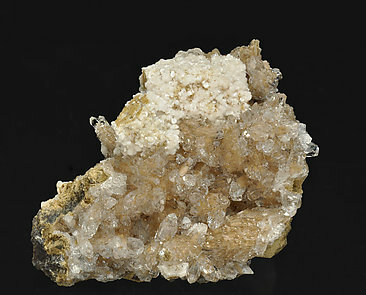 In some cases the replacement is deeper and forms a more or less complete pseudomorph of the preexisting Hydroxyapophyllite-(K). 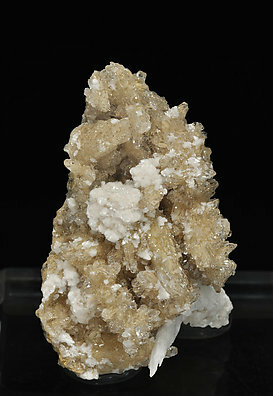 All are on a matrix of clear, complex, crystals of Calcite. 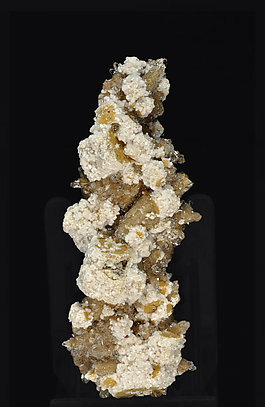 We’ll send a copy of the analysis to the buyer of the piece. 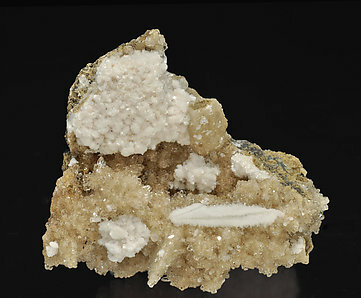 Fanlike groups of snowy white acicular crystals of Bultfonteinite replacing the faces of short elongated crystals of Hydroxyapophyllite-(K) which has a pseudocubic habit. 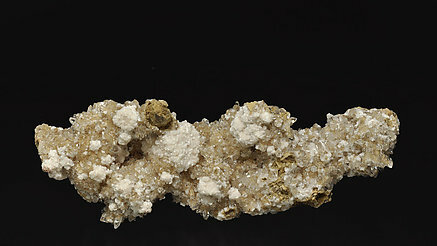 In some cases the replacement is deeper and forms a more or less complete pseudomorph of the preexisting Hydroxyapophyllite-(K). 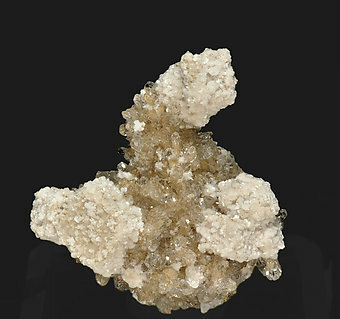 All are on a matrix of clear, complex, crystals of Calcite.